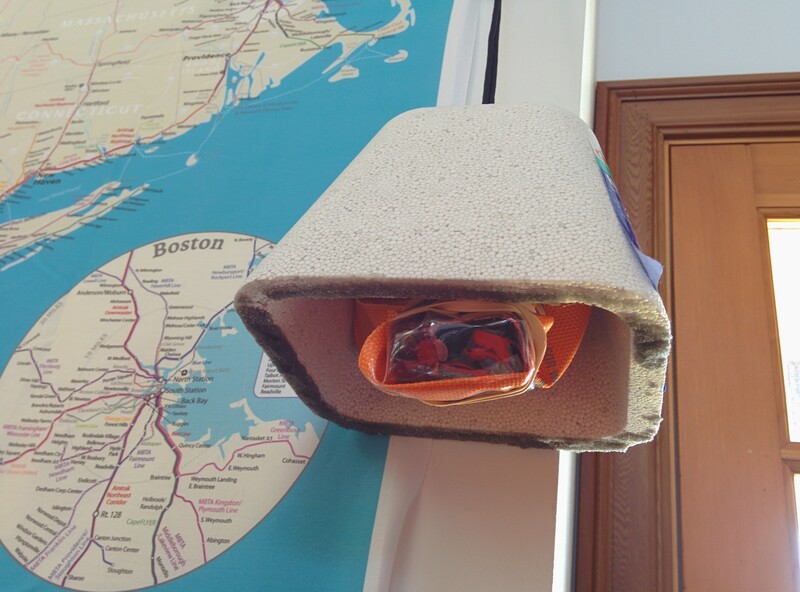 While I've been working throughout the winter with students at the Harpswell Coastal Academy on everything from mini-quadrotors to a touchscreen-enabled Raspberry Pi-camera, we wanted to collect something tangible to show for all our work. We have multiple camera options including a touchscreen-enabled Raspberry Pi+ Camera module and two Canon Powershots flashed with CHDK (from a DIY Book Scanner project outlined at- http://publiclab.org/notes/code4maine/10-07-2013/diy-time-machine). However, the PiCam is a ways away from the point where it will be easily deployable in field conditions, and we didn't want to risk losing a +$100 Powershot until we were a little more confident in our technique. One of the Quadrotors we experimented with over the Winter, the Blade QX-180, came with a detachable mini-HD Camcorder (http://www.e-fliterc.com/Products/Default.aspx?ProdID=EFLA800) and any sacrifice made iin image quality (unavoidable when capturing stills from a video feed) seemed more than justified by the onboard battery and overall weight. Most importantly, it wouldn't be the end of the world if anything happened to it. At barely over 2 inches long, the camera also meant I could use my Printrbot Simple, which has a maximum build volume of 4"x4"x4", to 3D print parts of the rig. 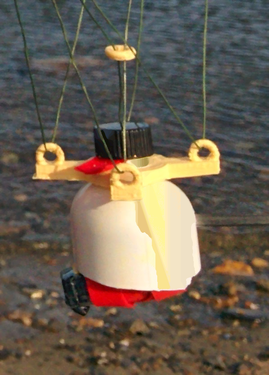 The result was the teeny-tiniest bottle-KAP rig you'll ever see!!! I made a total of three flights of which only the first was successful, though all three yielded valuable information. 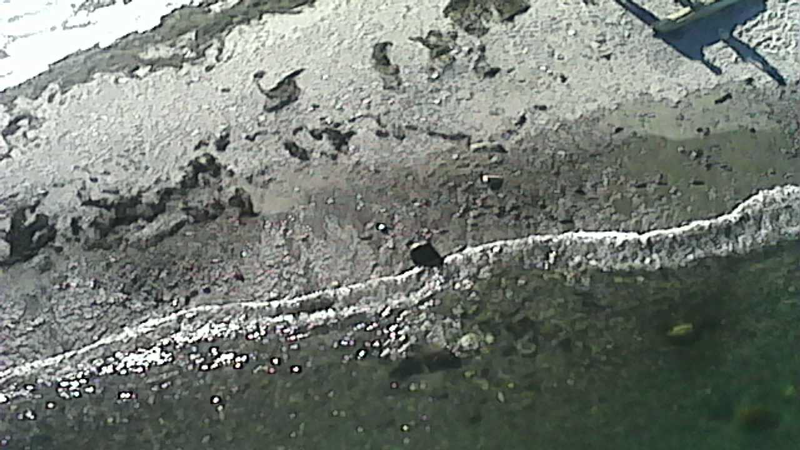 ####Attempt Number 1 The first attempt was made on June 14th 2014 on a tiny peninsula called Potts Point in South Harpswell Maine. Parts used included- a small HQ Power Sled Kite w/ stabilizer tail, 100 yards of 50ibs test Dacron Line on a standard spool, and the micro-bottle rig pictured above with a 3D Printed Picavet attached to two carabiners with 100Ibs test Kevlar Line (used as the belt on the Printrbot Simple). 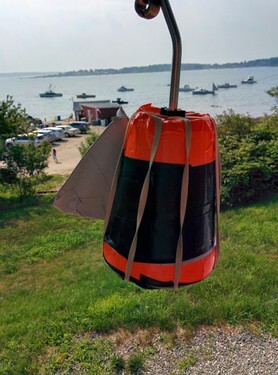 While the winds were more than strong enough to lift the kite immediately, they soon became so strong that it snapped the plastic spool reel in two! The picture shown below is as good an endorsement of the Dacron line that I can think of as Nylon line would surely have snapped in such conditions and I'd have no such view! I was able to get a few good shots of the peninsula but the broken spool resulted in an early landing before adequate altitude was reached. There was enough material from the first day however, to meet my initial goal of completing a full mapping workflow demonstration. The screen capture utility on VLC seems to offer the highest resolution possible, while also eliminating the time consuming step of sorting through bad images. I tried further sorting the captured stills through MapMill, but I can never get Ruby to play nice with Ubuntu, so my attempts at compiling a local deployment failed. On the other hand, I discovered the Linux-based DigiKam to be perfectly suited to the image sorting needs of grassroots mapping. The same endlessly customizable features that make it so frustrating as a desktop photo manager, makes it perfect for the high volume meta-tagging necessary before uploading to Mapknitter. Despite all the bumps in the road, I have undoubtedly gained some valuable insights into how to successfully deploy a grassroots mapping effort amidst certain local conditions. "thy wind shall giveth and thy wind shall taketh away"
A.Waterproof and B.capable of accommodating the impressive Mobius Action Cam. The immediate problem was aligning the lens with the plastic covering tightly enough so as to not interfere with the pictures... Again, the vertical shape of the Mobius proved challenging as there was no way to make it fit flush within a flat dry-bag. I tried using multiple tube shapes to form a kind of scaffold that the plastic could wrap around smoothly but nothing worked... Ultimately, I settled on the tapered-flat shape of a medicine bottle from Target. After a lengthy design process which was documented in its own research note and even spun off into an exciting underwater photography rig, I was finally able to get back into the air! The wind was way too strong that day, so with previous disasters in mind, I made sure to make it a short, low altitude flight to test the new rig, camera and reel. The new setup yielded some fantastic photos! Unfortunately, none will likely be of much use for aerial mapping due to the low altitude limit and the wide angle lens distortion. Nevetheless, it confirmed that I'm indeed ready to fly again! 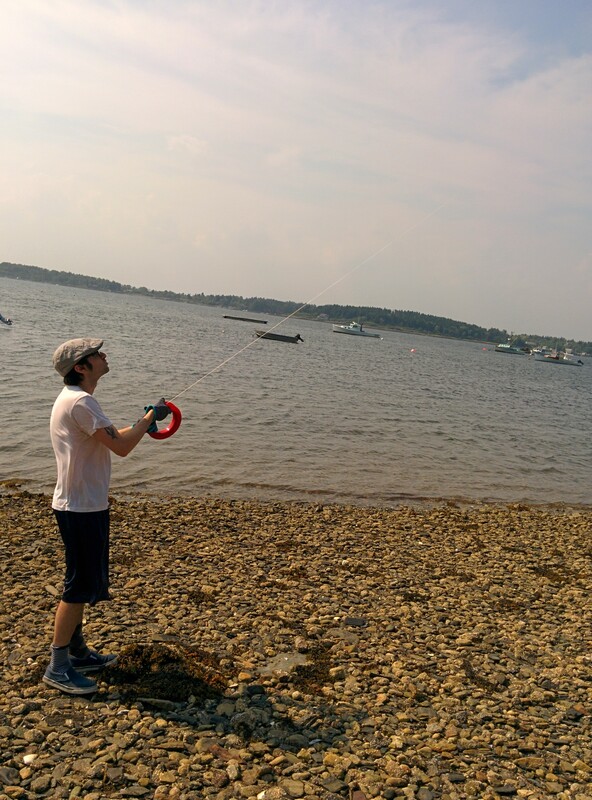 We generally prefer the manual "yo-yo" reels because of their durability. Those little winders you're using definitely break at high loads. I have one of these as well, its a little tricky and the string can jam up the brake if I'm not careful. 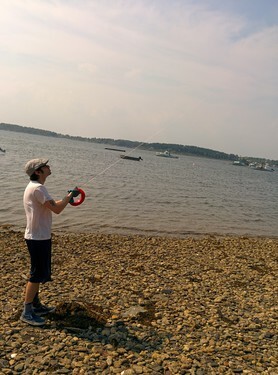 its nice for flying alone, but when two or more people are with me I go to the yo-yo reels-- they're easier to learn on and simple enough not to cause much trouble. On my own the yo yo isn't bad either, but if I have to rapidly pull in a lot of string I'll have to drop the reel and make a mess. Great report. The mini bottle and 3D printed Picavet will go in the Public Lab record books. And what a fantastic place to fly. Is that public land? It's too bad about the little camera. I'm glad to hear you were able to retrieve the kite. I bought one of those line winders too. It came with a $5 discount on another purchase, so I bought a second one. I used it once and have not touched either one since. They could work for ballooning, but are a liability for kiting. 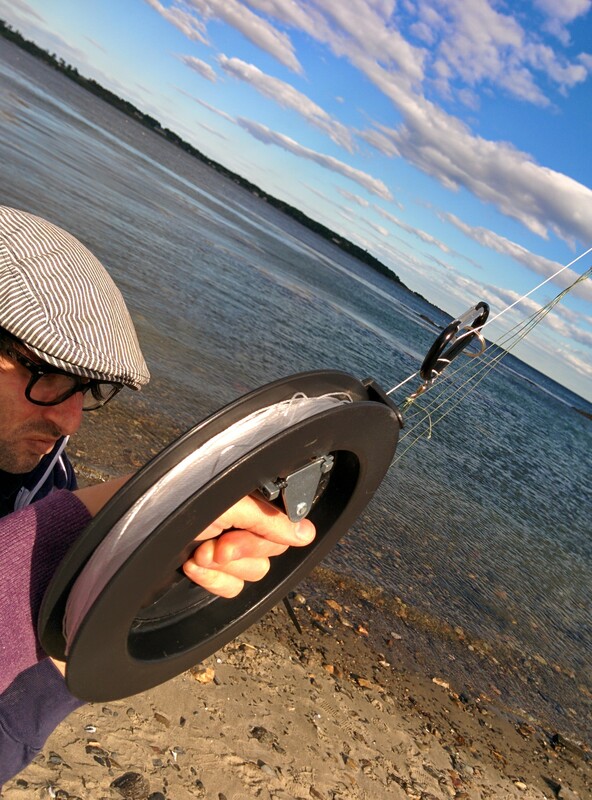 You can't beat a halo reel for convenience and effect. Fifty pound Dacron is a little lightweight. Was it really 50 lb? 150 pound is the minimum line weight for a lot of KAP people. ActionCams and Pi Cams and other little cameras have advantages, but most of them don't cost less than a $40 ebay or refurbished Powershot which will take photos which are actually useful. Your result at Potts Point confirms that you made a good decision to fly a low end camera, but when the wind is behaving and you have the correct kite, a decent camera might be worth the risk. 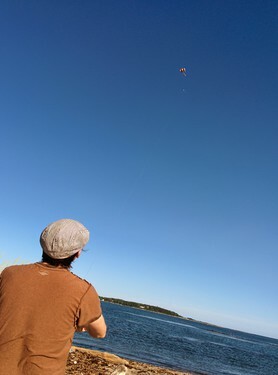 I decided early on that kite photography was too much trouble unless I could get good quality photos. Hmm, i'm not sure what's going on with that mapknitter export. Looking into it... thanks! Indeed there's something about the images themselves. I hate to ask, but could you try to convert them to jpg and re-upload them? I'm very sorry but since there are only 3 i hope it won't be too big a setback? RE: Mapknitter- I converted the images to JPGs and uploaded them again. The export status dialog then reads (Status: Warping 1 of 6, 2 of 6 etc.) until it gets to 5 of 6 where it just hangs. This is definitely an improvement over last time however wherein it showed no status at all. I did use DigiKam to convert the images to JPGs and I can't remember if I used it the first time. I certainly hope the error doesn't trace back to DigiKam because it seems so well suited to the needs of batch editing. RE: Kite Reels and Line- It was definitely 50 Ibs line but now that I know better I made sure to order a Yo Yo Reel with 150 Ibs Dacron this time. In hindsight it validates my decision to use the lighter cheaper camera all that more! As I mentioned earlier, I ordered a Mobius Action Cam that should be arriving tomorrow so I'll have the weekend to go over various options for the Picavet/Rig before the new line arrives. It certainly helps to have a 3D Printer, but with only 4x4x4 to work with I'll have to get creative. There seem to be a few "DIY Anemometer" tutorials on KAP forums and Instructables but they all seem to be for full anemometers, meaning it also measures wind direction. In my case direction wasn't all that important... 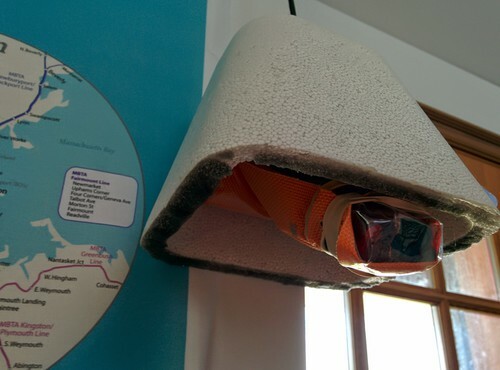 I have an old PC fan with an analog output I was considering hacking into one of those attachments for the smartphone that go in through the headphone jack, but I wanted to see if anyones tried it already. 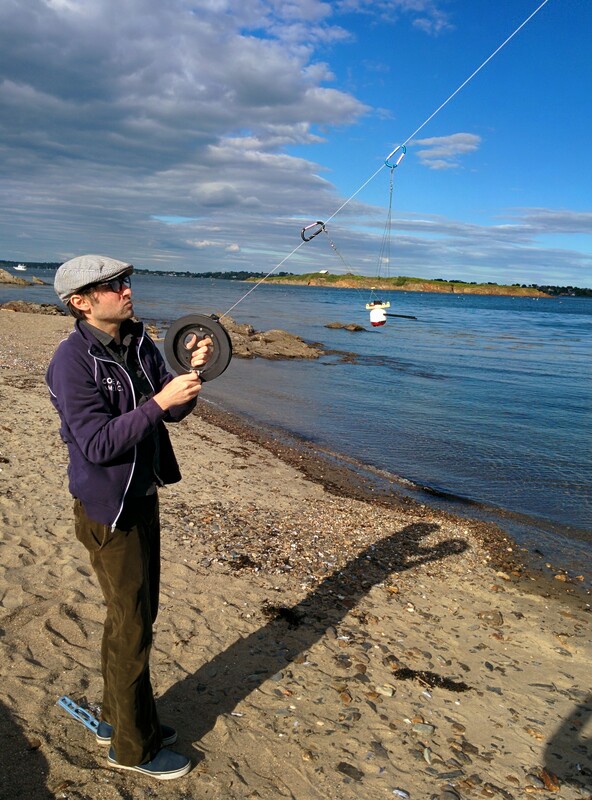 I do multi rotors, rc planes, blimp and kite pics. Your pictures will be 100 times better with a Mobius, plus a waterproof case. 100 dollars, intervalometer inside, quite shockproof. You will need Gimp and bimp to automatically make the pics square, and you can use agisoft photoscan for composing the whole picture. Instead of using photoscan you can have a look at visualsfm / cmvs, it is just too complicated for my primitive knowledge of photogrammetry. One picture I took recently from the Mobius so you can have a flavour of what it can provide, at a rythm of 1 image every 2 seconds. That is the "black island" from Tintin album cover. My multicopter is hand made with super cheap material, it is therefore vibrating a lot. 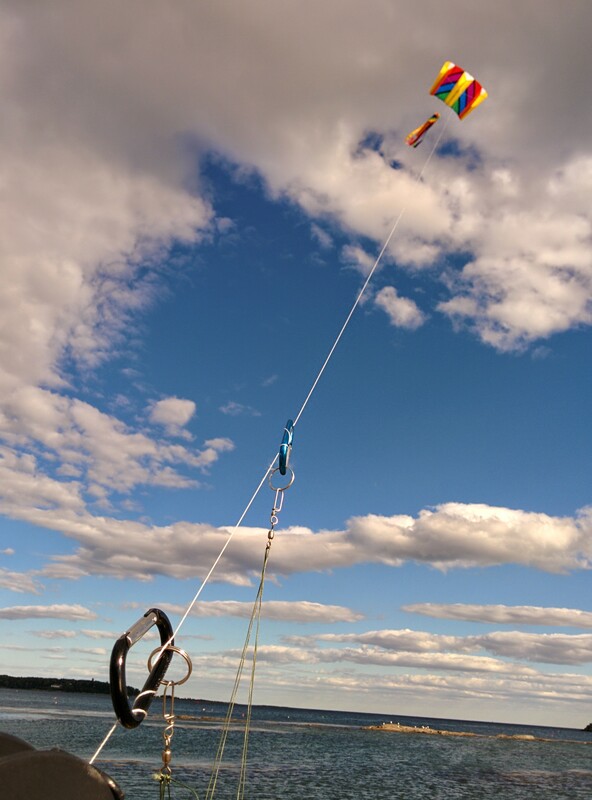 From a kite / picavet, no doubt you will have crisp pictures despite low resolution. That is an excellent Mobius photo. The Mobius is so lightweight that there is no reason not to include one on every flight. The lens is very wide, so stitching maps from multiple low altitude photos produces poor results. The zoomed mode of the Mobius just uses the center part of the sensor so the resolution suffers. I don't know whether structure from motion algorithms can deal with very wide angle photos. There is a very involved workflow for sfm using free programs. Brenden Duffy made a couple of tutorials that are linked here to my only attempt to do it. Very involved, but effective. The PeKaBe blocks that Brooxes sells are excellent for Picavets, and help a lot with very lightweight rigs. But for normal rigs with the camera mass a few inches below the Picavet cross, and with soft line lacing the Picavet, smooth eyes work fine to keep the rig level. It's hard to justify $60 for four blocks, although they are beautifully engineered. "The lens is very wide, so stitching maps from multiple low altitude photos produces poor results"
Sorry for not being clear enough. Gimp + Bimp allow you to automatically (batch) take the barrel effect out of every Mobius picture, making Mobius pictures "stitchable". Now I can't wait to get back in the air because I really want to compare the Bimp+Gimp combo to DigiKam. I have a slight suspicion that DigiKam postprocessing is causing some kind of file corruption in Mapknitter however, so I hope the same doesn't prove true with Bimp/Gimp. That's good to know that structure from motion works with wide angle photos. It sounds like you have to correct the distortion first. It doesn't seem like making a flat map would work very well with wide angle photos even after the photos were corrected, because the ground is viewed from many different angles in each photo. 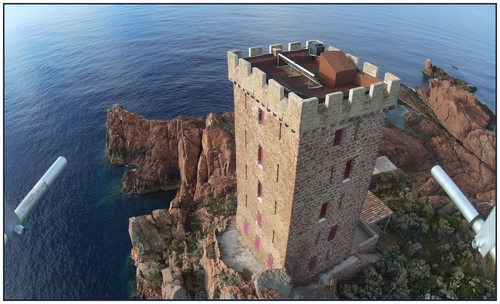 Also a brief search into OpenCV and 3D Aerial Photography yielded some promising results- This post on Stack Exchange almost seems like it came from someone at PublicLab- http://stackoverflow.com/questions/22180512/algorithm-for-ortho-rectification-mosaic-ing-aerial-images. Mathew, CFastie, and Warren- Has anybody examined the use of OpenCV for 3D Ortho-Rectification? Or is this a new discovery? If so I'll post a new research note about it. It worked this time! Not sure what your last error was but it seems converting to JPG was OK. I forgot about the Gimp/Bimp method suggested by Philgib though so I will try it. Philgib- I tried using the GIMP+BIMP combination that you suggested and it seems relatively straightforward. 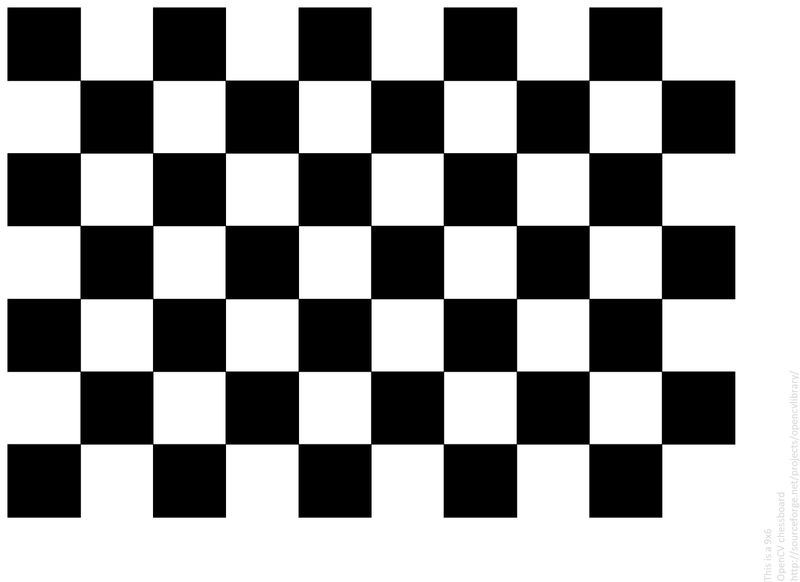 The only problem is I have no way of knowing how to set the lens distortion correction values. When working with a single photograph it gives you a live preview, but the batch processing menu has nothing of the sort and the parameters are different so I can't just copy them over from a single image. Can you maybe go into a little more detail about how you used Gimp for batch processing Lens distortions? Sure. I won't say I have the best way to do it but that works for me for many different lenses. My gimp is in French so options may not have the exact same wording but you should get the idea. Let me know if that works for you too. 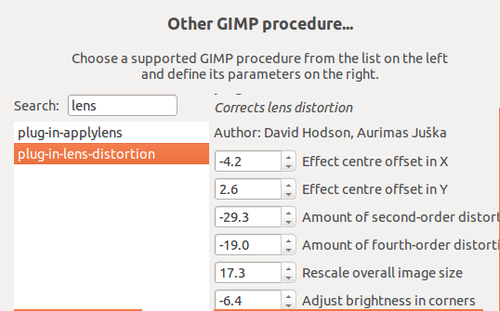 I am using the first 2 variables in the Gimp lens distortion section, and amount of 2nd order and 4th order on Bimp plug-ins-lens-distortion. Yes, I conducted my own test by correcting values using both menus on two copies of a single photo and the photos came out identical. How did i miss this note? 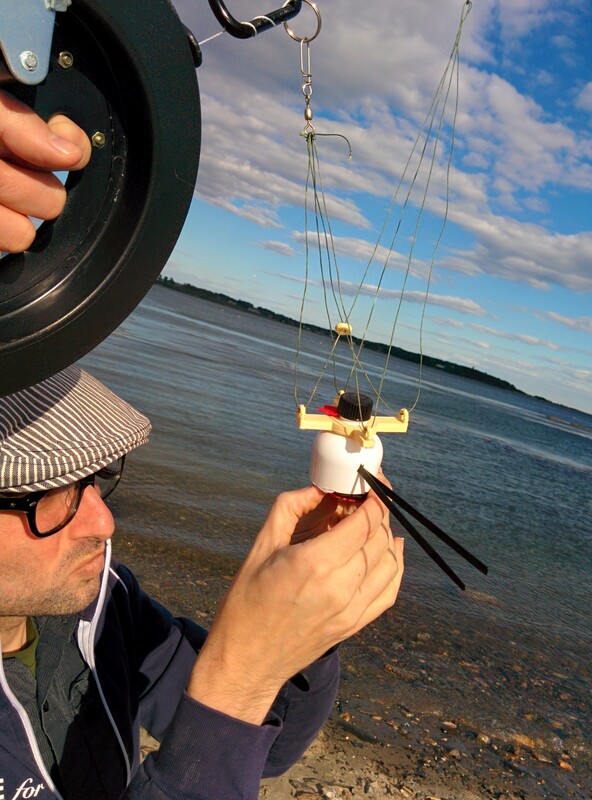 2015 KAP Mapping Season in Midcoast Maine!